Douglas is taking over from Ray Gammell who has been the group’s interim boss since May. The British citizen is well known in the gulf country where he previously oversaw both Abu Dhabi Airports and Abu Dhabi Ports. 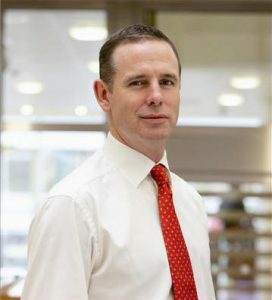 Douglas displays a rich experience in the aviation domain after working with airport operator BAA, as managing director of Heathrow Terminal 5 project and as CEO of Heathrow Airports. His appointment comes at the time government-run group is shaken by losses, with 2016 losses put at $1.87 billion. He is expected to expand and implement a wide range of strategic initiatives to position Etihad for sustained success, the company said in a statement. The Etihad aviation group current operates a fleet of 120 aircrafts, serving 112 destinations. The airways lost one its pilots Wednesday after the captain of cargo flight EY 927 passed away in midair from Abu Dhabi to Amsterdam. The aircraft landed in Kuwait for a medical team to attend to the pilot but he was pronounced dead. Written by: KanelkaTagba on September 29, 2017. Posted by KanelkaTagba on Sep 29 2017. Filed under Gulf News, Headlines. You can follow any responses to this entry through the RSS 2.0. Both comments and pings are currently closed.